The new Pie Shop has officially opened next to Moe's & Joe's in Virginia Highland. The new retail outpost is slightly smaller than the original Pie Shop off Roswell Road in Buckhead, and has limited inside seating. When I first reported plans for the new location last May, shop owner Mims Bledsoe had hoped to be open "in a couple months." Sadly, City of Atlanta red tape and regulations derailed the time line in converting the former Honey Butter boutique. 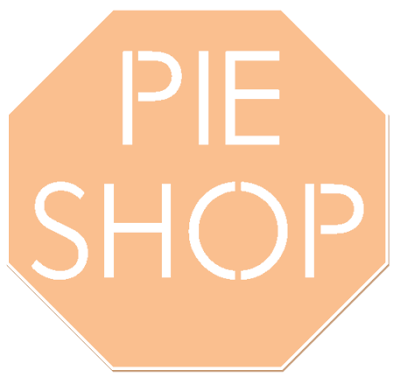 Pie Shop offers over 100 different pies, some only available seasonally. Some of the more classic offerings are a "Classic Apple," Blueberry, Coconut Cream, Key Lime and Whole Chicken Pot Pie. Pie Shop also offers a rotating variety of quiches. In a September 2013 piece from the AJC, Bledsoe says the new location “will be all about service and creating atmosphere.” "The original location will remain the production facility, while the second will have both a pastry counter and comfortable seating. She hopes to create a warmer place for people to linger over a cup of coffee and thick wedges of pie." According to the official Pie Shop facebook page, Bledsoe quietly opened the doors to the Virginia Highland outpost this past Tuesday.